Established in 2009 by the current owners. This business is located in an area of South West WA with proximity to one of Australia's most loved and popular wine and outdoor activity regions. The activity of the business is custom manufacturing and repairs of a diverse range of textile products, to a variety of people, industries and businesses. caravan annexes and awnings, camper trailer canvas work, boat covers, boat bimini covers andclears, tool bags, roll tarps, seed bin covers, PVC covers of all types & car interiors. This Manufacturing/Engineering Business is one of 10 businesses for sale in South West WA, Western Australia, and one of 30 Manufacturing/Engineering Businesses in this region that a business for sale currently has on offer. 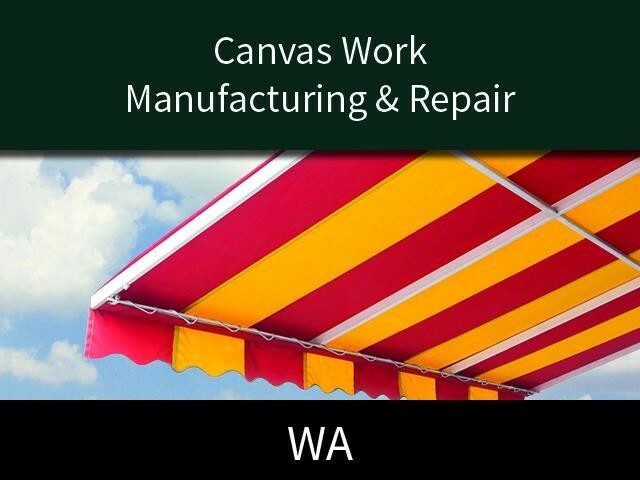 This Manufacturing/Engineering Business is for sale in South West WA for the asking price of $375,000 WIWO and is new to the market.